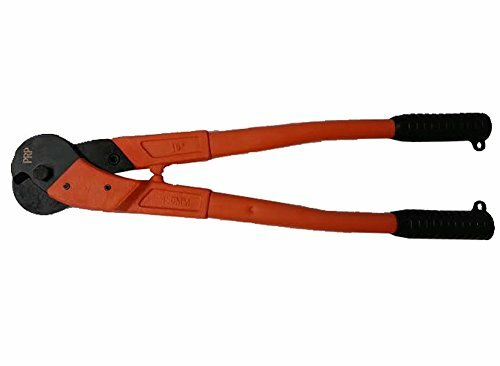 18'' Cable Cutter for up to 3/8'' Stainless Steel Wire Rope Cable by ArkHardware at Defy Now. Hurry! Limited time offer. Offer valid only while supplies last. Work for : Up to 3/8" stainless steel wire rope cable. Overall length= 18". For Cutting cable. Professional for both residential and industrial usage. Not for cutting hard material. Not for Crimp stainless steel fittings. Not for crimping sleeves.